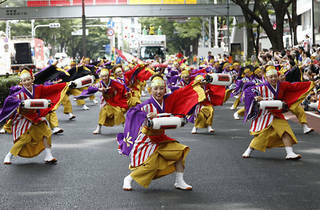 The final weekend of August is always a good time for dancing in the streets, with many major festivals kicking off. 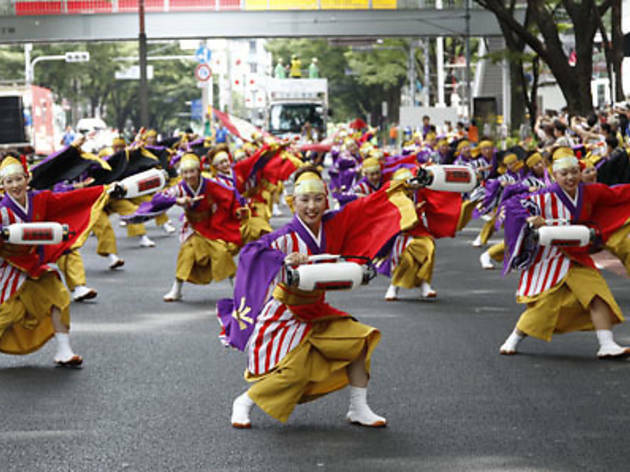 The original yosakoi dance started life in Kochi in 1954, where it was intended to help revitalise the struggling post-war economy, and Tokyo's own Super Yosakoi festival has been going for just over a decade now. The event sees 90-odd teams of brightly attired dancers trying to outdo each other as they strut their stuff to the rhythm of the naruko – a type of clapper that the people of Kochi originally used to scare birds away from their fields.